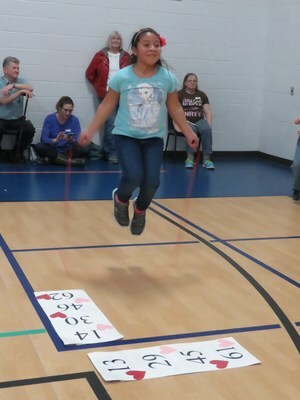 With a heart shaved into the hair on the back of her neck and hearts decorating her shoes, JoAnne Desy led her last Lee Elementary Jump rope for Heart event and the school raised a record $30,634 for the American Heart Association. 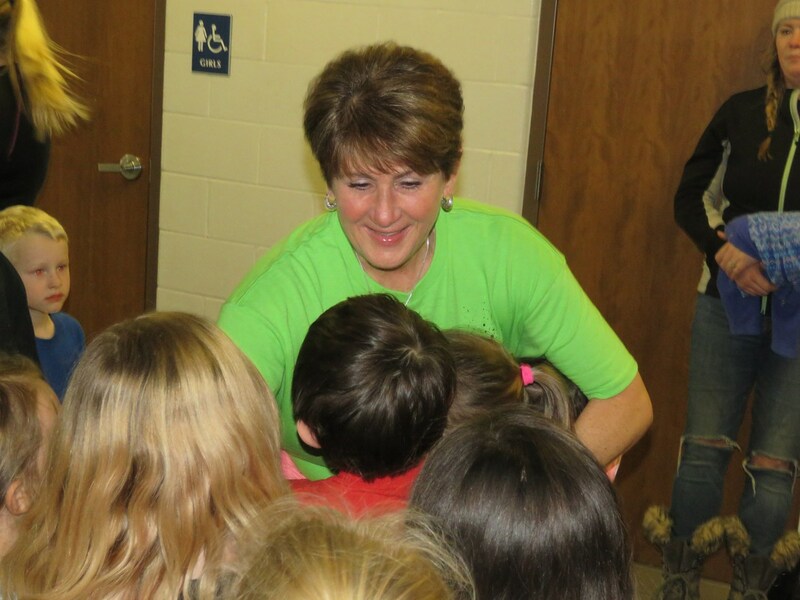 Desy announced she will retire at the end of this school year. 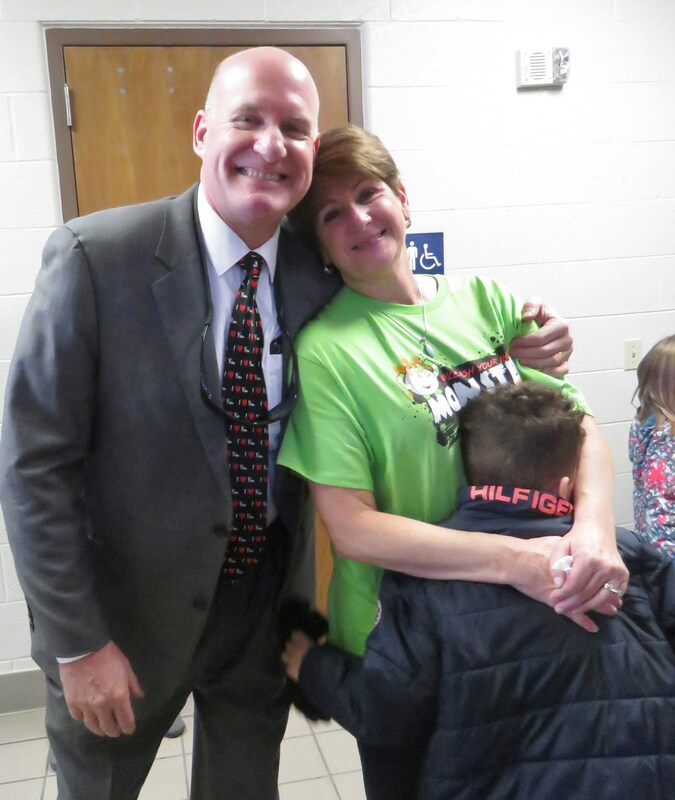 She started the Jump Rope for Heart campaign at Lee 22 years ago and since then she's taught countless students about staying healthy and active throughout their lives and to take care of their hearts. The generous support of the community has helped make the event such a success that it has become the top Jump Rope For Heart fundraising event in the state for several years. 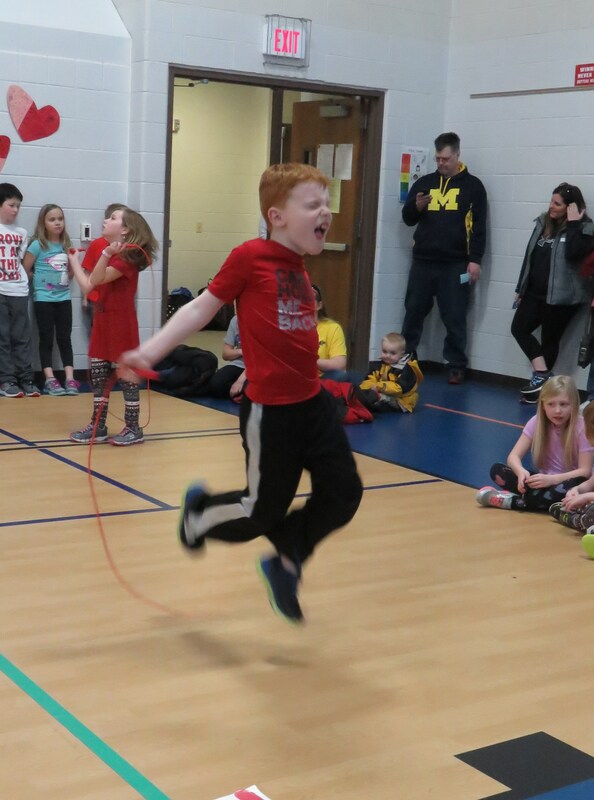 In the last 22 years, the community has donated nearly a half million dollars to the American Heart Association through Jump Rope for Heart. Students from each class got a chance to jump rope in the gym, have a dance party at the end of their time and take home some fun prizes. At the end of the day, all the classes came back into the gym and Desy was presented with a dozen red roses for her work at Lee and provided a thunderous round of applause. "I'm so proud of you all," said Desy right before leaving the gym to hug, fist bump and high five every student as they left. "I love this community," said Desy. "I so appreciate TK. There's no place like it. This has been my dream job."